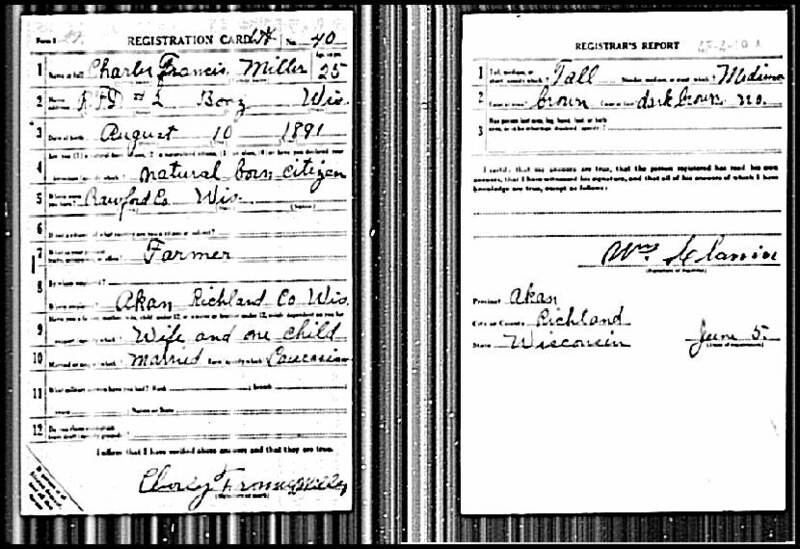 I recently found my Great-Grandfather's WWI Draft Registration Card on Ancestry.com. I have saved the digital image from the website, and am sharing it with you here, as part of my effort to show you the stepping stones along the way in my research. 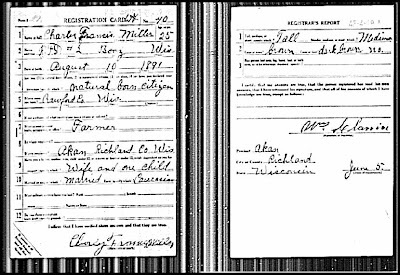 I would like to be able to do an Ancestral Spotlight on Charley Miller in the near future and am in the process of gathering documents.